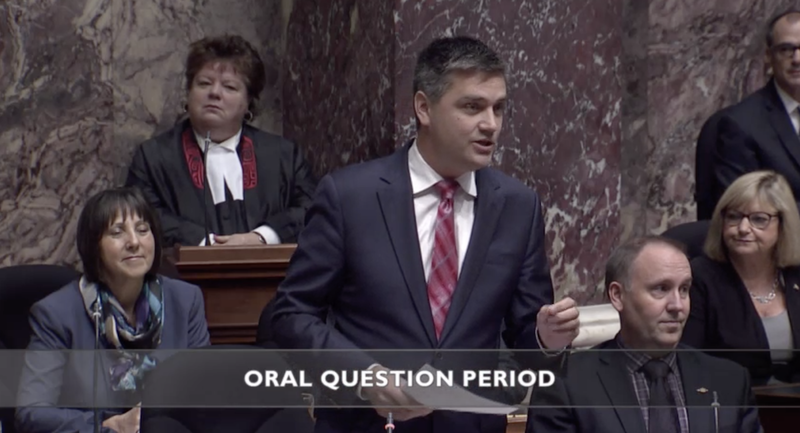 T. Stone: Higher personal income taxes, higher carbon taxes, the speculation tax, the employer health tax, higher prices at the pumps — affordability brought to you by the NDP government of British Columbia. The facts are clear. The NDP are replacing the MSP with a much higher tax grab. Here’s what the Union of B.C. Municipalities had to say recently. To the Minister of Municipal Affairs, what has she told the UBCM? Should communities cut services, or should they raise property taxes? Hon. C. James: I’m sorry. Coming from the member from the old side, the old government that left us with over a $1 billion hole in ICBC that the taxpayers of British Columbia are having to pay for. If there’s something to get angry about, I’d get angry at what you’ve done to the public of British Columbia about ICBC. T. Stone: Well, it’s not just all the NDP MLAs from Burnaby who are missing in action on this file. The member for Port Moody–Coquitlam has also failed to listen to his community. Let’s look at the cost of this NDP tax for Port Moody. This year they paid $130,000 in MSP. Next year the cost will increase, to $715,000. The UBCM says communities face a choice of reducing services, increasing property taxation, or both. My question, again, to the Minister of Municipal Affairs, who is responsible for communities in this province. I’m wondering if the minister could let us know whether she has advised the city of Port Moody to raise property taxes for their taxpayers or to cut services in that community. Hon. C. James: I would say to the member across the way there’s 50 percent savings in those MSP premiums as of January 1 this year, 50 percent savings next year for those municipalities. Most importantly, 100 percent savings for families in 2020, which means $1,800 in a family’s pocket every single year.